What Is a Welding Jig? When you want to saw a board apart, you use a clamp to keep the wood in place. Welders need more advanced welding tools than simple clamps in order to make certain that a welding project turns out as intended without flaws or damage. One of these tools—and one of the most practical tools in a welder’s arsenal—is a jig. A jig is a large brace that keeps a welding project stable in the face of pressure, heat, motion, and force. A quality jig will streamline welding work by keeping parts together in a vice grip. Whether the welding is entirely manual, partially automatic, or fully robotic, a jig moves the workpiece while the tool remains stationary. 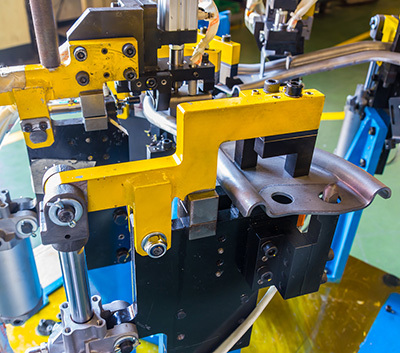 Just like you want the frame of a car to be strong enough to handle the motion of the engine, suspension, and tires, you also want welding jigs that can take a lot of force and still keep going. A thorough welding program provides valuable information on what makes a jig a useful accessory for a job. Every welding job involves a number of different tools. It is very common to use welding jigs on a project due to their strength and dependability. Jigs make welding jobs easier, quicker, more accurate, more comfortable, and more cost-efficient.